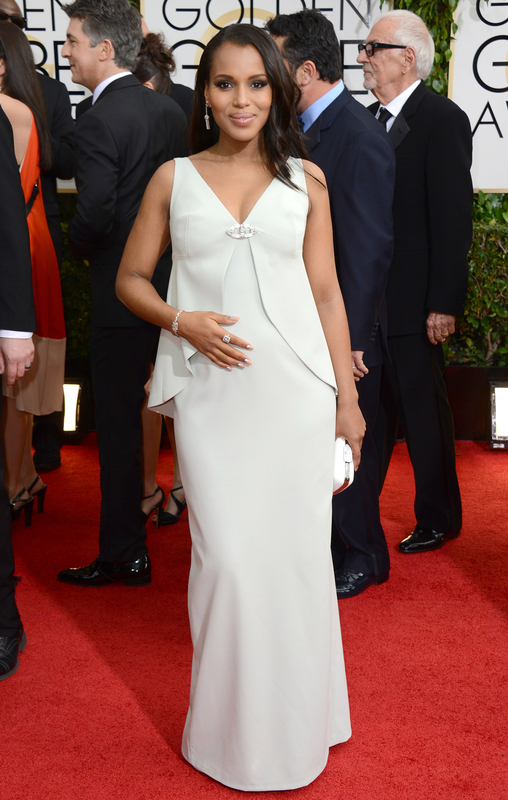 Last night was the 2014 Golden Globes awards and you know what that means…………….RED CARPET TIME! Of course I can’t do my very favorite looks without doing some looks that made me say WTF, it’s a shame because I really love some of these ladies but I guess tough love is called for. So without further ado here are my least favorite looks of the night, hell who am I kidding I hated it. Who were some of your favorites and least favorites? Did I miss the mark on any? I didn’t get to watch the 2013 Emmy Awards red carpet last night like I usually love to do but I did get a chance to watch a part of the actual awards which I hardly ever do. It was fun to see some of my favorite cast members from my favorite shows win awards. The Emmy’s seem to humble even the biggest stars and to startle and shock the bejesus out of unsuspecting ones too. I am a big fan of Nursie Jackie and although Edie Falco is a great actress, for me Zoey (played by Merritt Wever) brings the show full circle by being somewhat of the comedic relief for an otherwise heavy topic of a functional drug addict who happens to be a nurse. Zoey is the super kooky, cute and somewhat naive city girl who looks up to no nonsense Nurse Jackie but also surprises us sometimes when she occasionally brings Jackie down to size with her unexpected voice of reason. 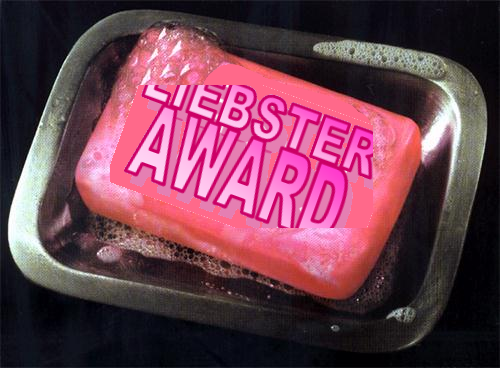 This past Wednesday I was nominated for the Liebster Award by a fellow blogger http://evanescentincrements.wordpress.com/ (check out the blog it’s pretty awesome!). Thank you Evanescent Increments for one taking the time to read my rants and two for thinking them good enough to deserve an award. This is AMAZEBALLS! 1. I like to sing songs in my opera voice. 2. Lots of times I feel like an outcast / freak of nature and then I spend time with my family and realize that I’m not alone, we’re all complete and total idiots. 3. I stalk my daughter. I spend at least 30 minutes a day staring at her sleep. 4. I adore my few friends. They are made of something special to deal with me and my madness all the time. 5. In the past 2 or 3 years I’ve found myself wishing that I actually read the books I was required to read in high school (ie. Of Mice & Men, To Kill a Mockingbird etc). I’m not sure how I passed that class with such good grades. 6. I am the Queen of TMI. 8. I love bangle bracelets. Ever since I was a baby I’ve worn bangles, I feel a sense of security from the noise they make. 9. I surely hope that my daughter’s voice isn’t as annoyingly squeaky as mine. 10. I’ve had 2 other blogs but I feel a strong sense of accomplishment with this one. 11. I wish that I grew up on the West Coast so that I could have been part of a dance crew. Like http://evanescentincrements.wordpress.com stated this process is gruesome as most of the blogs I follow have well over 200 followers or just making it past 200 but in the spirit of following the rules the remaining 4 blogs are over 200 but I enjoy them so much I will still list them. ■Define Art. – Art is anything creative and beautiful. ■Love. – Is knowing ones flaws and accepting them. ■Good Poetry. – Is thought provoking. ■The Meaning of Life. – I’m still learning but so far it’s learning what your gift is and then sharing it with the world, laughing, loving, doing what makes you happy and doing something nice for someone along the way. 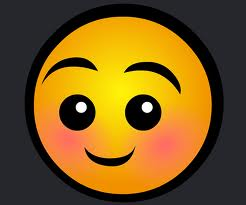 ■If you could tell youngerSelf just one thing– and youngerSelf would believe it– what would you say? – Stop worrying, you’re pretty good at making it happen. Have more faith in yourself. ■How would an outsider describe you? – Intimidating and/or standoffish. ■How would your mother describe you? – Crazy, beautiful, tough and silly. ■How would you describe yourself? – Tough, honest, moody, sentimental, sensitive, silly and irrational. ■What gives you a reason for breathing? – My daughter. ■What would you like your epitaph to say? – So dawn goes down to day. Nothing gold can stay. 2. What job would you do and not get paid? 3. If you could pick one superpower what would it be? 4. Describe yourself in 4 words. 5. If you could adopt any tv family who would you pick? 6. What are some of the things that keeps you interested in others’ blogs? 7. What are your 2 favorite articles of clothing? 9. What is your favorite line in a movie? 10. What means the world to you? 11. Madly in love or insanely rich, pick one? I picked the Liebster badge that reminded me of Fight Club because I looooooooooove Fight Club but please pick any of the ones below that suit you. Again thank you to http://evanescentincrements.worpress.com for nominating me, this one was pretty tough but worth every second. 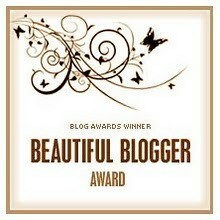 A super duper duper shout out and thank you to Lou of http://louslabyrinth.wordpress.com for nominating me for the beautiful blogger award. I feel like I’ve just won the lotto. This feeling right here I wouldn’t trade for anything. 1) I wax, thread and pluck people’s eyebrows in my mind. 2) I have 15 or 16 tattoos. 3) The Outsiders is my most favorite movie of all time. 4) My daughter is everything that I think is beautiful. 5) Hating the sound of my voice is how I found just how much I love to write. 6) I have a degree in fashion marketing, management and merchandising and interned at Fairchild Publications as a style assistant (best job I’ve ever had). 7) Per Jack Nicholson in “As Good As It Gets” I like to always look at bright well humorous side of life. Thanks again for the nomination Lou, please check her page out she writes about fashion, photography, food and life in general. http://louslabyrinth.wordpress.com!